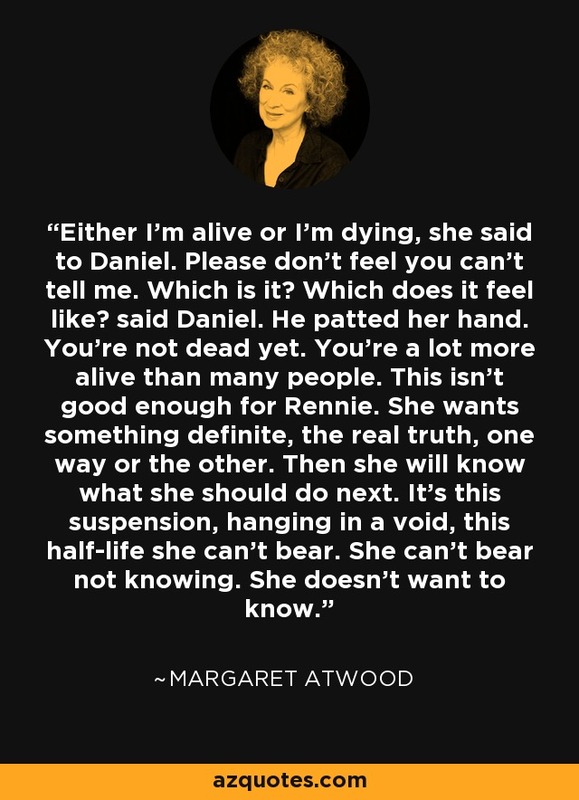 Either I'm alive or I'm dying, she said to Daniel. Please don't feel you can't tell me. Which is it? Which does it feel like? said Daniel. He patted her hand. You're not dead yet. You're a lot more alive than many people. This isn't good enough for Rennie. She wants something definite, the real truth, one way or the other. Then she will know what she should do next. It's this suspension, hanging in a void, this half-life she can't bear. She can't bear not knowing. She doesn't want to know.